Over the last few weeks we have been experiencing with ice play. It all started after I read about Ice Play Activities from Little Bins for Little Hands and ever since then the kids have been addicted! Who knew playing with ice could be so much fun!?! 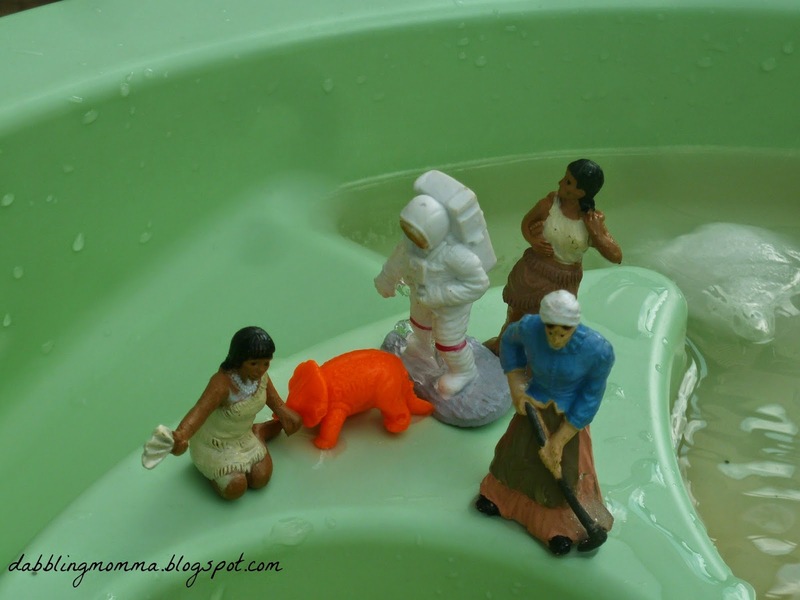 So far we have rescued dinosaurs, sea creatures, astronauts and various other figures from our toob collection. 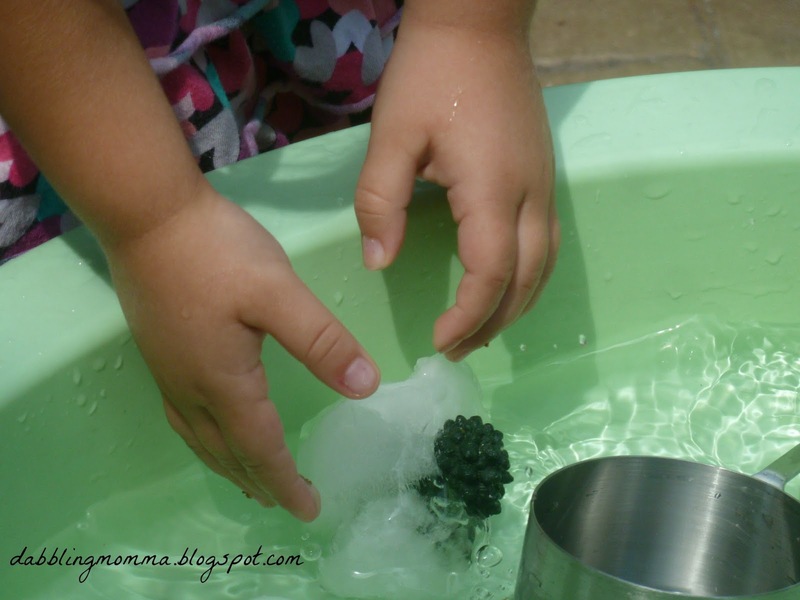 Ice play is a great sensory experience. Whether the feel of the cold ice, watching the ice melt, or smashing the ice my kids absolutely loved playing with it! I started off using some containers and throwing in some things like starfish and turtles basically things from under the sea. As 'accent ice' I filled some bathroom cups with water, froze them and added them to our sensory table, they look like mini ice castles! 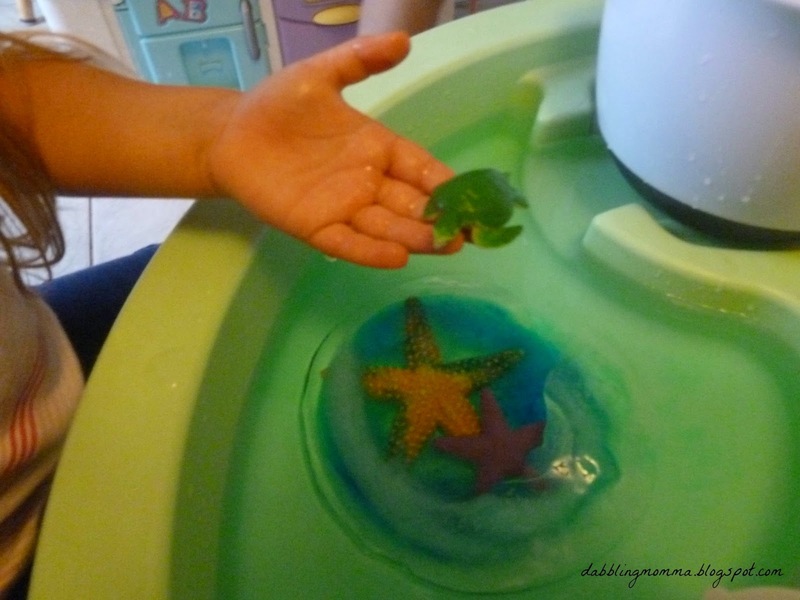 You could even add some food coloring as we did with our sea creatures. I wanted something taller to freeze so I started rinsing out some plastic cups, filling with water and adding whatever figures or things inside and then freezing. I also layered the ice which means I filled the cup part way, froze, put in whatever figure I wanted, filled with water again and froze again. 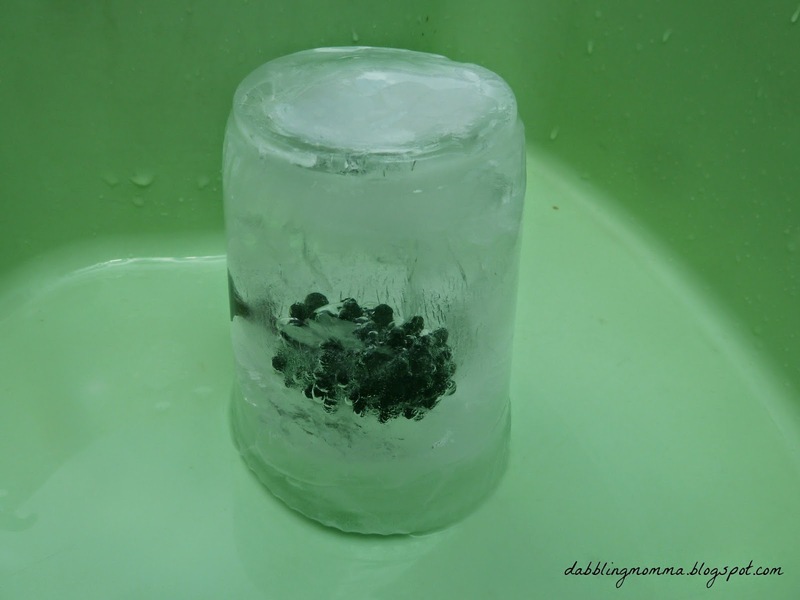 The ice comes right out after leaving it out for a few minutes or running under warm water, works the same way when using a container. The kids trying to melt the ice by pouring warm water over it! 'Rescuing' more of our trapped figures! 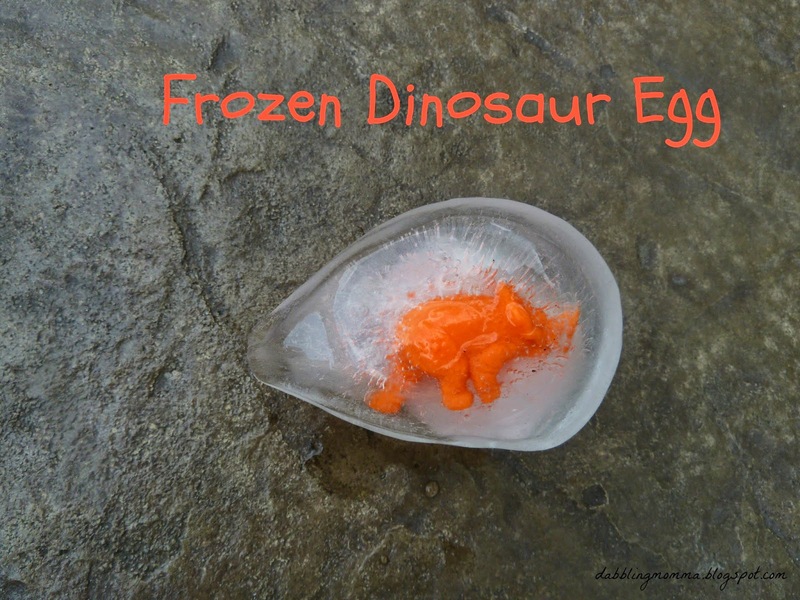 More excitement came after I read about frozen dinosaur eggs! 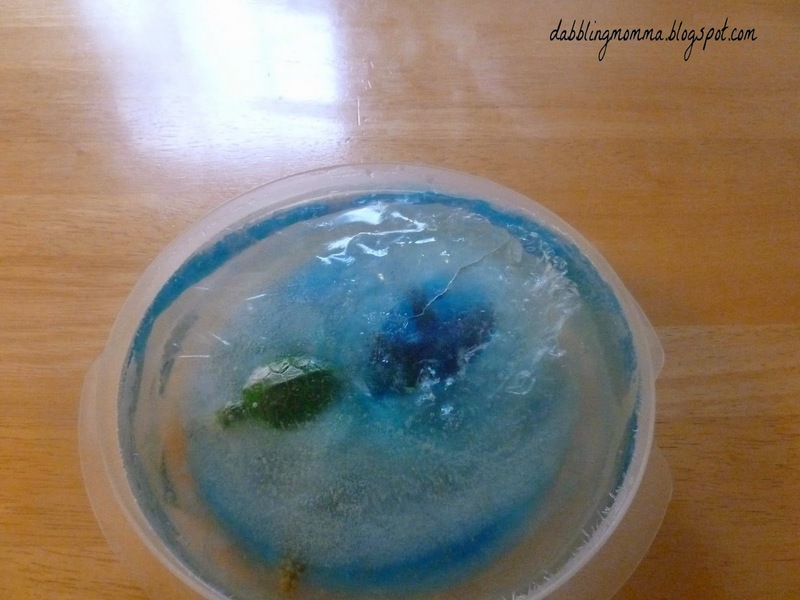 Find out how to make frozen dinosaur eggs at Little Bins for Little Hands. 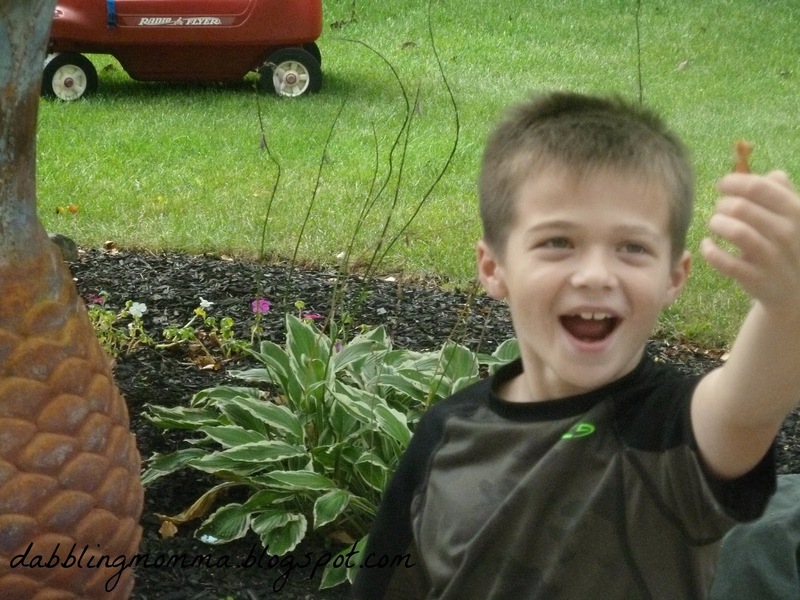 This activity is so cool and so easy to do! Both my 8 and 4 year old were super excited to 'rescue' the dinosaur! That's how we've handled our ice play so far - always trying to 'rescue' whatever is trapped inside the ice, which makes for great imaginary play too! 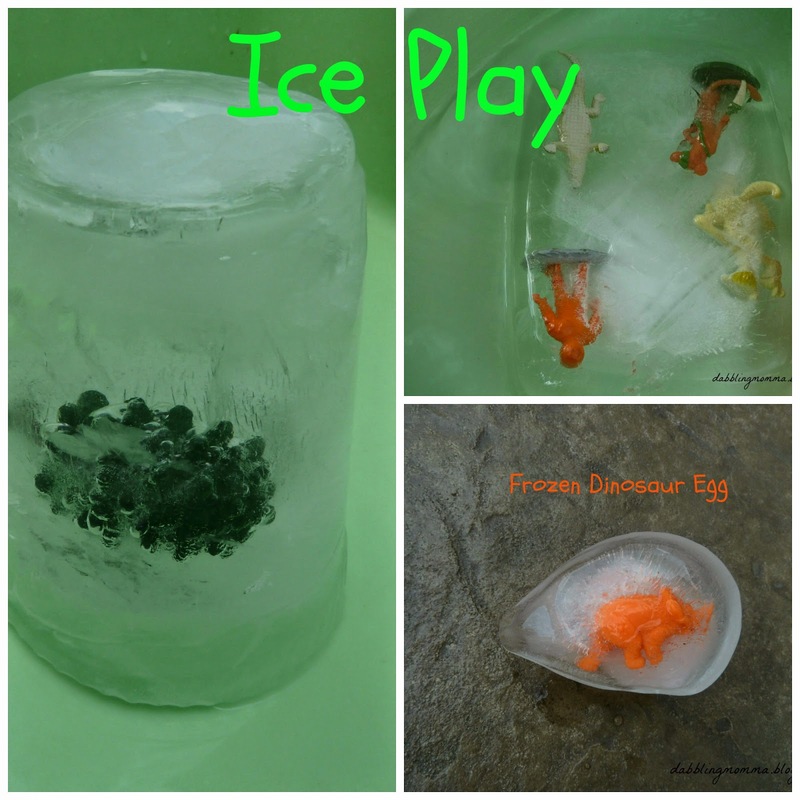 Check out these 2 other sites that also share their fun with dinosaur ice eggs: Paging Fun Mums and A Nest for All Seasons. I know Heather, the kids went crazy with this one!! 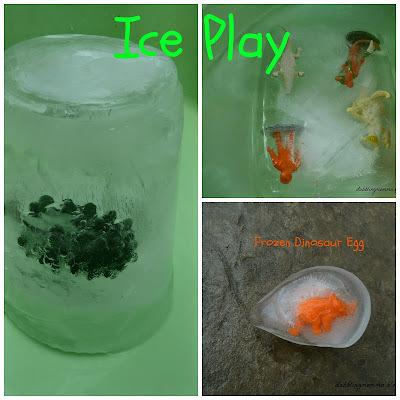 We haven't tried ice play yet, but I'm sure my toddler will love doing something like this! 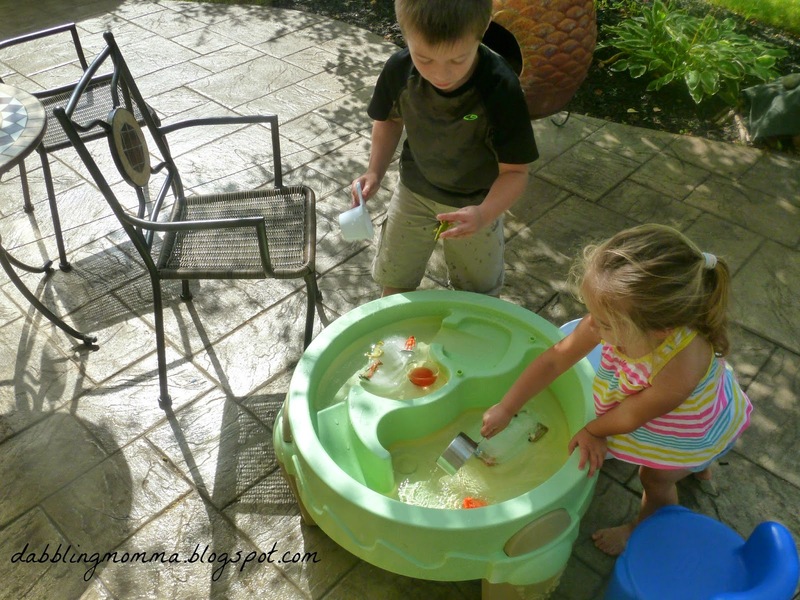 Tarana, this has got to be the most fun both my kids had with sensory play! Sydney, that's great! I would love to know how it works out for them!! Such a cute idea! My boys would love to do this! Thanks, Selena! 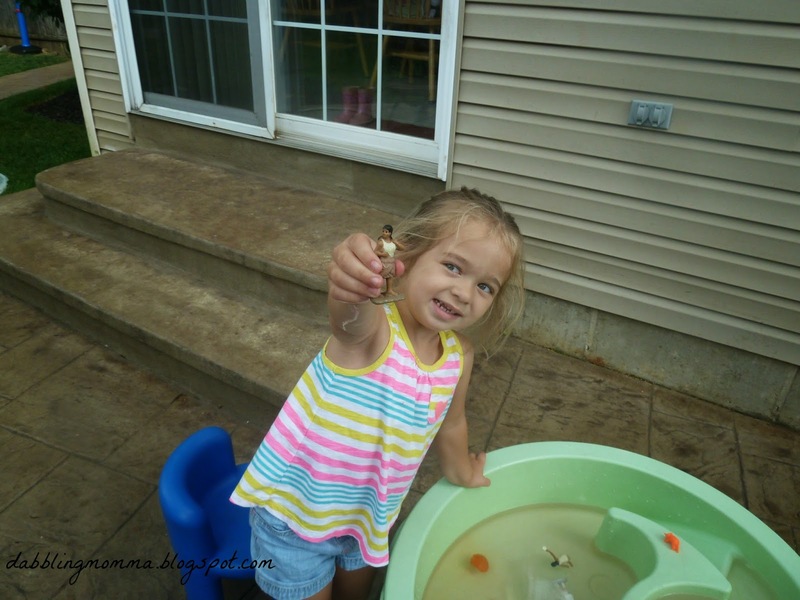 I loved that both my kids enjoyed this activity. Since they are 4+ years apart it's sometimes a challenge to do something they both enjoy! My girls love to play with ice and your idea is so good! Thanks, Sarah! Yes, it is cheap just frozen water, right!? Stick some fun figures inside and let the fun begin! I hope your son has as much fun with it as my kids did!! Thanks, Laura! I hope your daughter will be able to enjoy soon!! Thanks, Eileen!! I never knew ice could be so much fun! This is the perfect thing to do in the last bit of our hot weather season! Danielle, I hope your son has as much fun as my kids did! 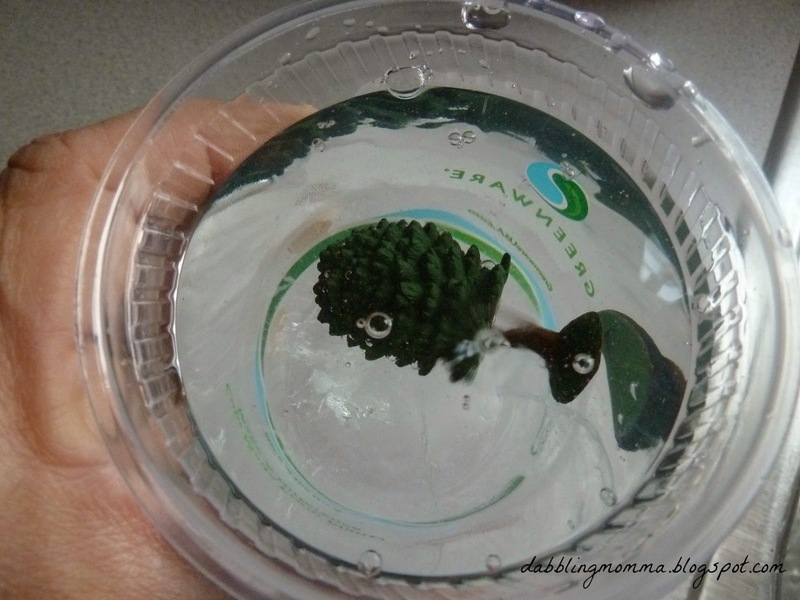 What a great activity - I'll have to try this with my girls, before summer is over! Thank for sharing at the Love to Learn Linky! Thanks, Totschooling! It was really alot of fun!